In your 20s, you went to sleep with your makeup on and didn’t think twice about lounging in the sun without SPF, right? Like most of us, you probably took your anti-aging skincare regimen slightly more seriously in your 30s, but didn’t see the need for intervention beyond moisturizer and under eye cream. 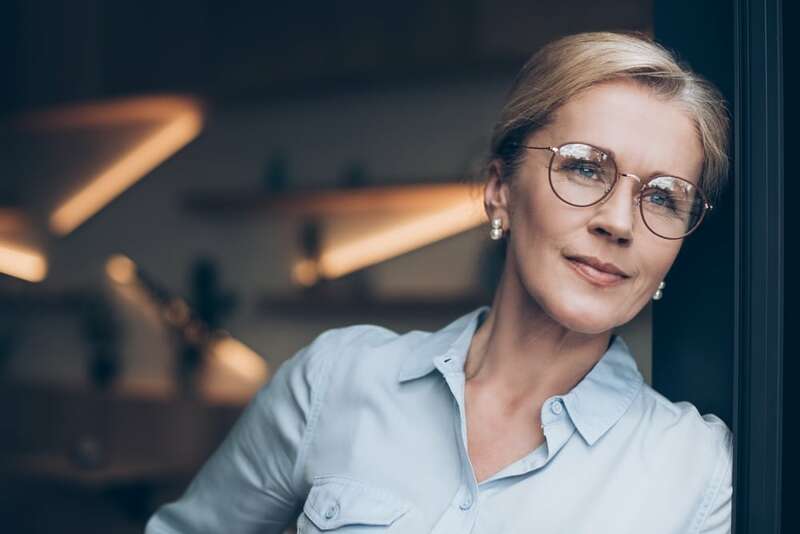 Now that you’ve hit the big 4-0, though, hormonal and age-related changes have made it clear that time will take its toll on your skin and that you may need to take action if you want to retain or restore its youthful appearance. During pre-menopause, collagen production slows down, which means you could see a change in your skin tone and texture. You may also begin to notice more laxity on your face and neck, as well as broken capillaries and hyperpigmentation. Are you panicking? No need. In your 40s, your skin still retains a good amount of elasticity, which means it will heal more quickly and with better results than if you were to wait 10 years to undergo the same cosmetic procedures. In other words, now is the perfect time to undergo treatments that will slow the signs of aging. So, which treatments will have the biggest impact? Here are the best cosmetic procedures to consider in your 40s to keep looking as young as you feel. Getting Botox in your 40s is all about softening those fine lines you’ve noticed crawling across your forehead and creasing the skin beneath your eyes. Because Botox limits the movement of facial muscles responsible for creating lines, it also helps prevent wrinkles from deepening. The results of Botox look natural and gorgeous. Plus, treatment takes less than 10 minutes to perform with no downtime, so you can pop in on your lunch break and go right back to work. Unlike Botox, which relaxes the muscles of the face, dermal fillers counteract the signs of aging by replacing lost volume with a clear gel formulation made with hyaluronic acid. Getting dermal fillers in your 40s is an effective way to plump facial wrinkles and folds, such as the lines from your nose to the corners of your mouth. The results of dermal fillers like Juvéderm are instantaneous and, depending on the area treated, can last up to a year. The aging process takes a toll on your complexion, too. While Botox and dermal fillers are great for correcting individual lines and wrinkles, the 2D Laser Facial allows you to address all of your skincare concerns in a single treatment. First, your practitioner will use Cutera’s LimeLight laser to correct imperfections on the surface of your skin. Then, Laser Genesis penetrates deep to smooth wrinkles, shrink pores, reduce the appearance of acne scars, and improve your overall skin tone and texture. Because Laser Genesis stimulates collagen production, the results of the 2D Laser Facial actually improve with time. In addition to selecting the best cosmetic procedures for your 40s, it’s important to refresh your daily skincare regimen and incorporate products that will revive dry, dull, aging skin. At Siti Med Spa, we’ve partnered with the best skincare product line to help you maintain beautiful, youthful skin and maximize the results of your cosmetic procedures. SkinMedica products are formulated with antioxidants and retinoids that are proven to help prevent free radical damage and rekindle your skin’s youthful glow. The SkinMedica line includes cleansers, moisturizers, serums, gels, and creams, allowing you to build a custom skincare routine that addresses your biggest skin concerns in your 40s and beyond. Our favorite product is the SkinMedica TNS Essential Serum, which we love for its ability to fight premature aging and enhance skin tone. To learn more about the best cosmetic procedures for your 40s or to purchase SkinMedica products, visit our office in San Diego or give us a call at (619) 717-8484.